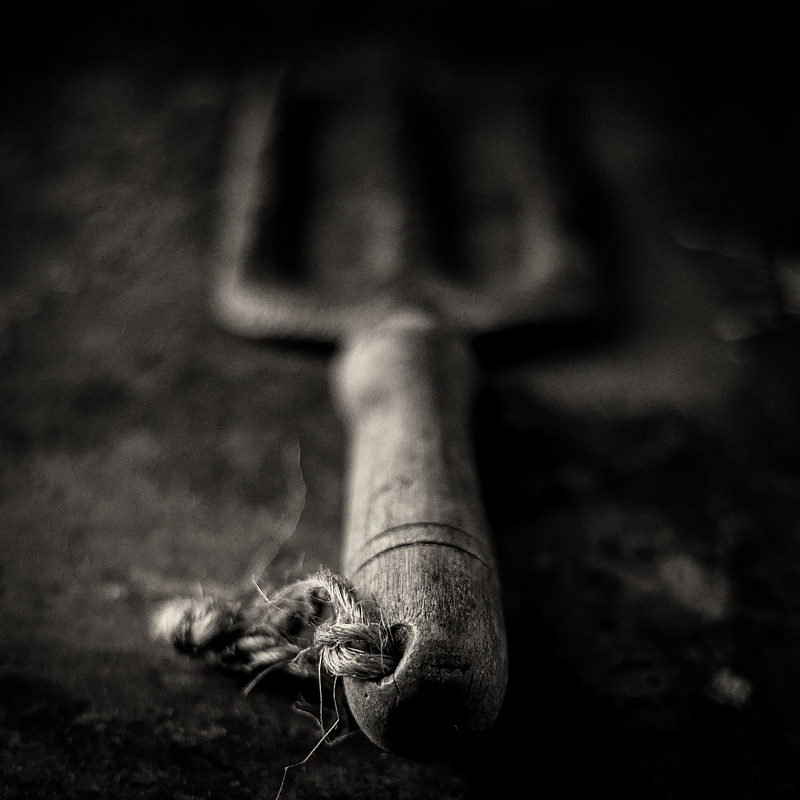 Antique weeding fork. ©2019 Lee Anne White. Last week I was digging into creative practice. This week I'm digging in the garden. More specifically, I've tilled, amended and planted a shade garden; moved and planted numerous large containers; and cut about a third of the sod on our property, which I'm in the process of removing and composting (a chore that I now realize may take considerably longer than anticipated). When we moved into this house, I decided to wait a year before launching any major gardening projects. I was content with a few containers and tweaking a few existing beds. It has actually taken two years to dig in--partly because I could never quite finalize my plans and partly because I was off teaching workshops when I needed to be in the garden. This year, I rearranged my workshop schedule so that I could be home in March, April and October. And I have two years of observation to guide my efforts. I'm now familiar with sun patterns, which plants are thriving and which are beyond rescue, drainage issues, our parking needs, and where we most enjoy spending time. Admittedly, this sod-cutting and removal process to create new garden beds has been a bear. (I hope never to use one of these 300-lb. monsters again.) But at least I'm outside, can see my progress, and am envisioning what plants will go where, what they will look like in different seasons and through the years, how they will change the look of the house, and what I can cook with the freshly snipped herbs. I'm planning a cut-flower garden as well, though I may not get around to that until next year. Working in the garden provides good thinking time. It's where I most love to go when I need a break from creative projects for idea incubation. And this week I've been thinking about the different ways we can be creative in our daily lives. Maybe you like cooking, entertaining or making your home feel welcoming. Perhaps it is working with children, older adults or those with special needs. Or maybe you are a tinkerer, inventor or have an entrepreneurial spirit. We all have opportunities to live creatively every day—whether it involves creative problem solving or creative expression. Awash. Amelia Island, Florida. ©2018 Lee Anne White. When we think of practice, chances are our thoughts turn to honing skills and getting better at what we do. But what if, from time to time, we intentionally focus on shaking up our process, changing our ways or even intentionally making mistakes? What might we discover? For years, I have photographed moving water by setting my camera on a tripod for long exposures. 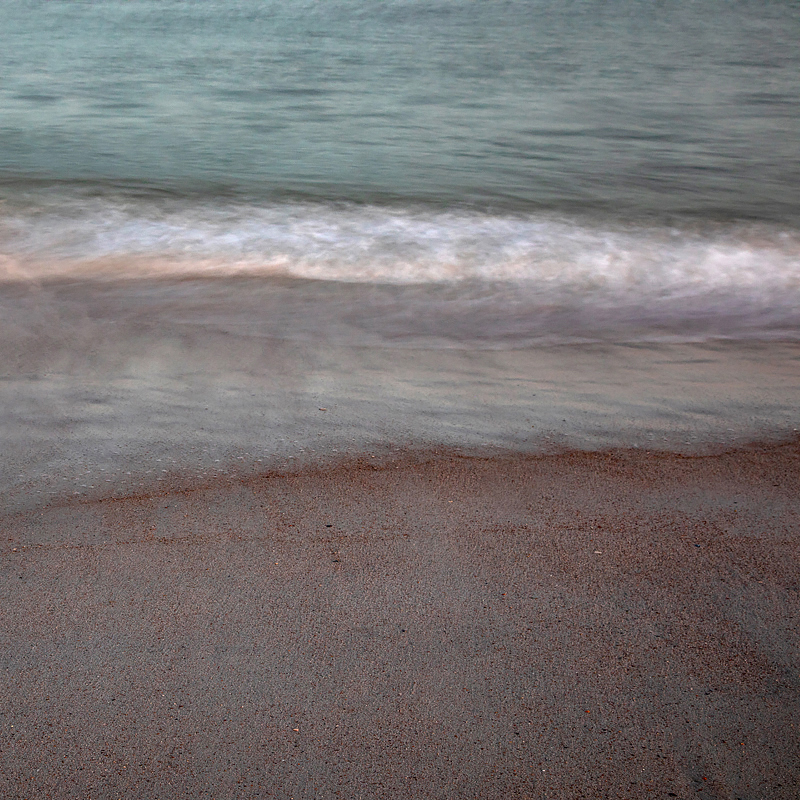 It is still my preferred way of photographing moving water. But recently I’ve begun to make long exposures that are not only handheld, but that introduce a great deal of random camera movement. While I quickly delete most of these after importing them to my computer, I am finding more and more that I like. I’m beginning to learn which motions produce what kinds of results at which shutter speeds and have even tried this on subjects other than water with interesting results. The images are unexpected and quirky, and sometimes convey a strong sense of mood or emotion. What part of your process or technique might you change—just to see what happens? What happens when you throw out assumptions and time-honored practices? When you do this and stumble upon something that is interesting, think about ways you might push that change even further and keep experimenting. You may discover something unique to expand or enhance your work. Stairwell, Fort Knox. Prospect, Maine. ©2018 Lee Anne White. It was clear from responses to last week’s question about how you define “creative practice” that there are a number of different ways of looking at this. For some photographers, it simply meant shooting. For others, it involved all aspects of the creative process—from idea generation to incubation to execution. I was intrigued that a number of respondents clearly identified “thinking time” as a key element in their creative practice. And I was pleased to see that they did; it seems we have so little time to think about what we do and why we do it these days. Before we take a deep dive into the subject of creative practice, I’d like to start by defining both what I believe it is and is not. It is not the profession or “business practice.” Just as a doctor has a practice, a creative professional could have a practice, but that’s not what I’m talking about here. I’m also not addressing the business, management, accounting or marketing aspects of the business. It is not art. Too many still use the terms art and creativity interchangeably. Creativity is a mind-set that is useful to artists, but not all artists are creative and not all creatives are artists. It is more than creativity practice. There are many wonderful exercises for improving creative-thinking, creative-problem-solving and creative-expression skills. These are just a small subset of the activities that may comprise a creative practice. It is also more than everyday creativity, which is something we all engage in on a regular, if not daily, basis. It is the intentional practice of creating—learning, mastering and using the skills (craft, technical, artistic, intellectual and creative) that go into making our creative work. It involves all aspects of the creative process—from problem-identification and research, to idea-generation and refinement, to planning and execution. It involves thinking as well as doing, and even "not thinking," as in the case of incubation. It includes our search for inspiration, as well as creative rituals and habits. And it has to do with our mindset—one that is playful, not afraid of making mistakes, willing to look at things in new ways, and able to live with ambiguity. With that in mind, take time to think about what goes into your creative practice: What skills are you working to master? Where do you find inspiration? Do you use exercises to warm up or get out of a rut? When do your best ideas come to you? Do you have a place you create on a regular basis? Do you have routines that help you carve out time to create? How about rituals to signal that you are ready to create? Do you have a means of getting feedback along the way? Or celebrate in some way when you complete a project? All of this and more can be part of your creative practice. Those of you who have been following me for some time know that I’m not into resolutions. That said, I am a believer in both reflecting and dreaming, and then mulling over ways to make some of those dreams come true. Each year, I select two or three words that represent areas in which I’d like to take a deep dive—to explore, learn and grow. This year, one of those is creative practice. (Okay, that’s two words, and I may count it as such, because for me, this is a big one.) What constitutes creative practice for photographers? What skills or creative exercises do we practice and how often do we practice them? What can we learn from other visual and performing artists, or perhaps from athletes or masters of other fields? How important is routine in creative practice, and how do you know when it’s time to shake up that routine? Does strict routine enhance or inhibit creativity? How much of creative practice is practice in the traditional sense and how much is simply showing up and doing the work? No doubt, the answer to all of these questions may be, “It depends.” But I’m going to see if I can at least explore and define some of these for myself, spend more time creating and less time doing “everything else” and make some new strides in my creative practice. I will share some of my experiences along the way. I’d love to hear from you, as well—whether you are a photographer or not. How do you define creative practice? Do you benefit from a set routine or creative habits; prefer more spontaneity; or find it challenging to carve out creative time at all with your other roles and responsibilities? What are the current challenges you face or that you spend your time thinking about as a photographer or visual artist? Perhaps we can work through some of these questions together in the coming year. December light reflected at the water’s edge. Photo ©2018 Lee Anne White. Although I tend to reflect throughout fall and plan for the coming year during the holidays, I’m running behind this year and doing both at the same time. And I’m doing so while surrounded by contractors—builders, plumbers, electricians, painters—who are doing work inside our home. It’s a bit chaotic, but that’s what kind of year it has been. As anyone who attends one of my workshops knows well, I’m a firm believer in reflection. Whether our experiences have been good, bad or mixed, reflection helps us acknowledge, digest and integrate what we’ve learned. In times when we feel like we’re not making much progress (and certainly we all have those times) it can help us realize that we actually have made progress. Better understanding where we’ve come from and what we’ve learned along the way helps us to evaluate where we want and need to go next. Sometimes that reflection lets us know we need to slow down, push a little less and simply be more present in our daily lives. The process reminds me a lot of sailing. Over a period of time, we may be headed toward the same destination, but must trim the sails or tack back and forth to get where we going as we adjust to shifting winds and currents. Some seas we cross are smooth; others may be stormy. Our destinations may be a straight shot or require sailing around continents. Once we reach our destination (if we haven’t changed our minds along the way), we may head another direction or decide to stay a while. Where are you in your creative journey? What have you seen and learned along the way? And how will you adjust your sails in the coming year? I hope it has been a good year for you and that you feel you’ve made progress toward your next destination. Last weekend, I went for a walk on the farm where my husband grew up. It looks different this year, as most of the trees have recently been cleared and a new crop of pines will soon be planted. 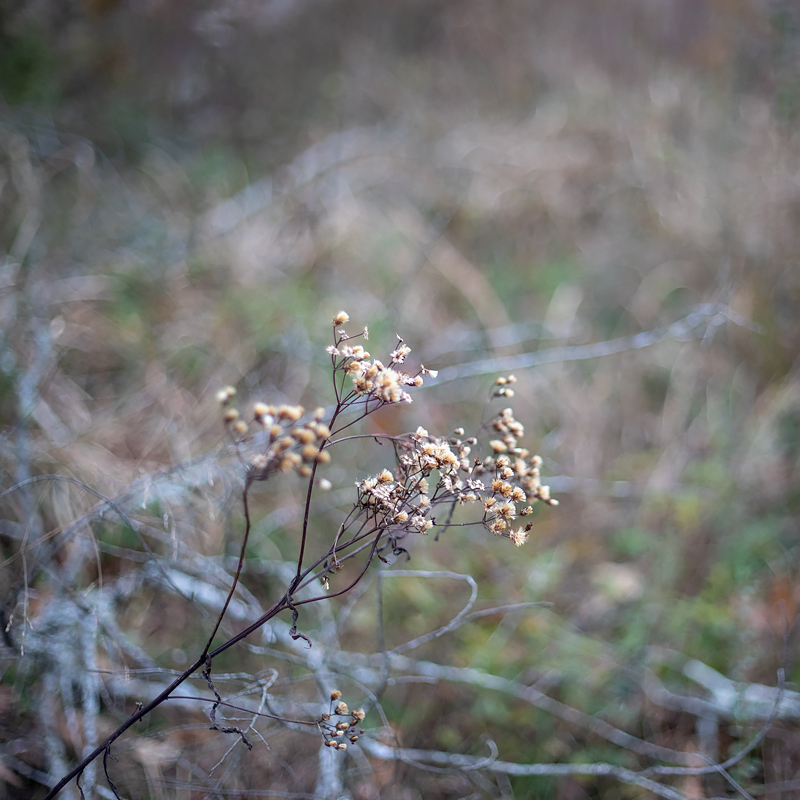 What interests me on this walk are the muted colors, textures and grasses. 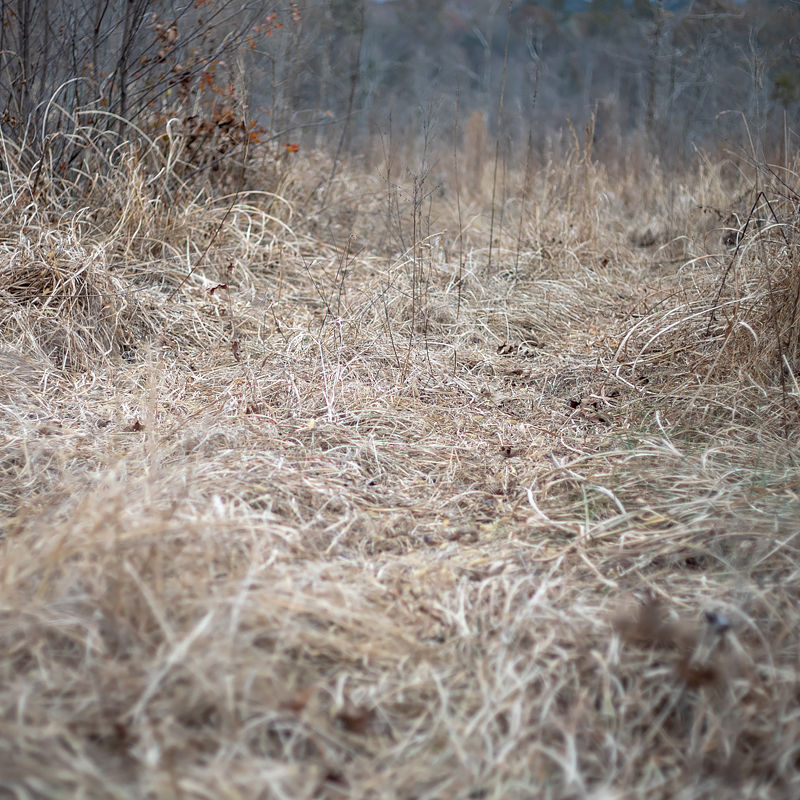 The grasses have gone dormant for the winter and are matted down from heavy rains and where the deer have created paths. It was an overcast day. By the time I worked my way back to the house, it had begun to rain. I was ready to warm up by the fire and have another serving of turkey and dressing. Instead of working on a tripod with a wide-angle lens and an f-stop of f22, I’m hand-holding a 50mm lens at f1.8 and going for a little blurriness around the edges. Sometimes it’s good to change the routine. Many Moons. ©2018 Lee Anne White. I can’t recall why they named the biggest shopping day of the year Black Friday, but despite the great sales, it is a day I do my best to either stay home or get out in nature and away from it all. I don't care much for shopping or crowds. One mall visit a year is one too many. But as a nod to the day, which actually follows my favorite holiday of the year, here is an image from a new series of black-and-white diptychs that I’m working on. It is so much fun playing with these. It requires getting out of my usual mindset and looking at images in new ways. I experience a small thrill each time I find an unexpected connection between photographs. They almost always tell a very different story than they might individually. Sometimes, one of the images adds depth, information and insight to the other. And other times, they become something entirely new, as is the case here. Anyhow, for those of you out shopping: be safe and have fun. I hope you find some great deals. And to all of you, thank you for your continued interest and support, for reading my newsletter, for participating in my workshops, for hanging my work in your homes, for simply connecting in some way. May you all find something to be thankful for today and every day. Fort Clinch. Fernandina Beach, Florida. ©2018 Lee Anne White. 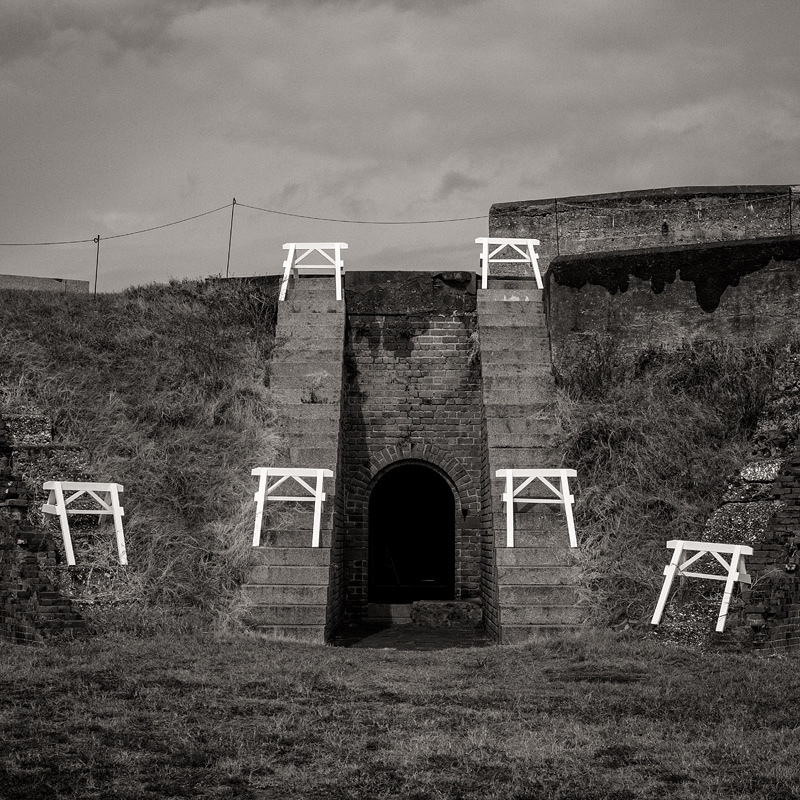 I have photographed Fort Clinch on Amelia Island around a dozen times. I’m fascinated by the light and architecture—the many tunnels, windows, doorways, arched ceilings and worn, handmade bricks. I usually go with my tripod, camera and one or two zoom lenses on lightly overcast (preferred) or sunny days. Earlier this week, I was on the island and it started raining. I ditched my plans, grabbed my camera and drove to the fort. No tripod, no zoom lenses, no filters. Just a 50mm lens and an umbrella. The rain tapered, but it was still wet, drizzly and moody. Shooting in different weather wasn’t my only motive for returning. I wanted to try looking at the fort in new ways. Handholding allowed me to be more playful. 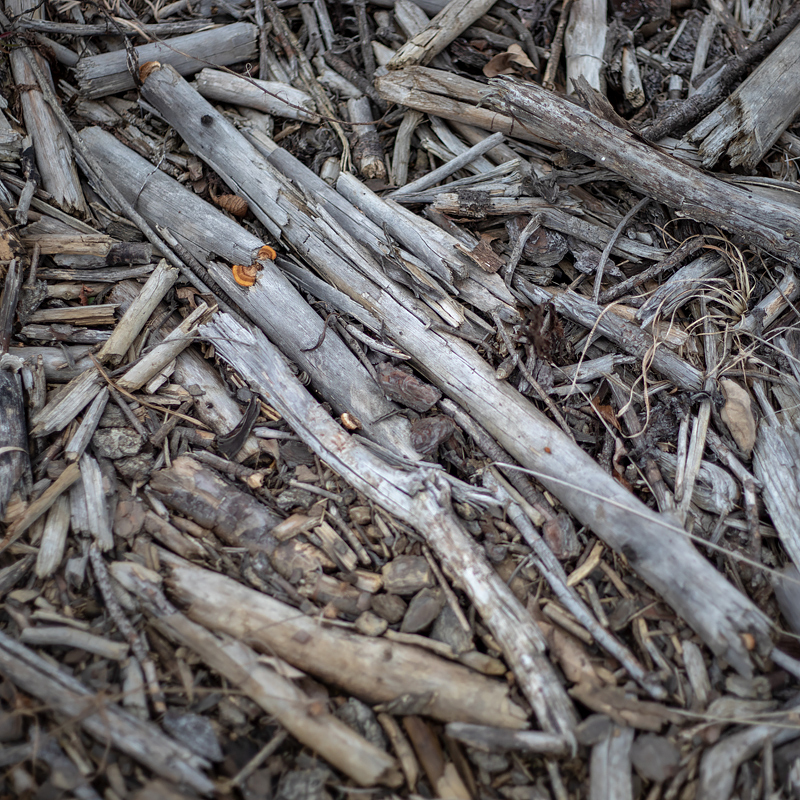 The 50mm lens required me to zoom with my feet—physically moving closer to or farther away from my subject. I noticed some things had changed at the fort. Furniture had been rearranged; some windows had been opened while others had been closed; the pantry was open in the kitchen; white barriers had been randomly placed along an exterior staircase (above); a different (interpretive) soldier was on duty. 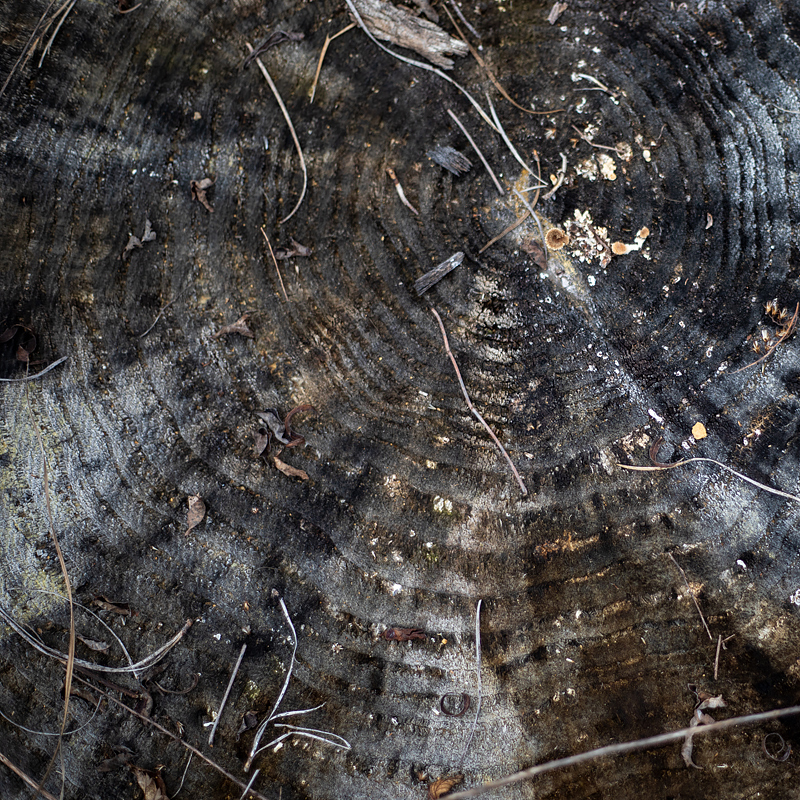 When you find a subject or location you like to photograph, keep going back. See what has changed. 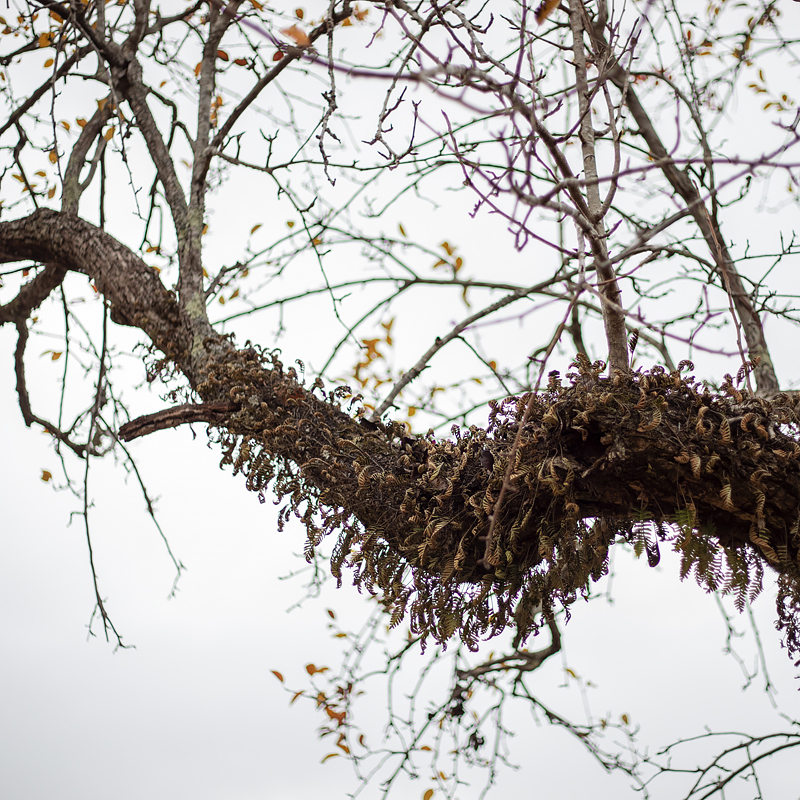 Capture different moods by photographing in different seasons or light. Push yourself creatively by focusing on something different, using a different lens, or experimenting with a different technique each time you go. Be open to the serendipitous—the interaction of people or animals with a place or each other. One time think broad views; another time think intimate details. Look for opportunities to tell different stories about or reinterpret a place. Is there somewhere close to your home or a place you travel to often that you could photograph regularly? Why not start building a portfolio of images about that place? If you do, I'd love to hear about your experience. Worn by the Sea. Great Cranberry Island, Maine. ©2018 Lee Anne White. Do you ever get the urge to do something different? I’m not talking about dramatic life or career changes, here. Just changes that shake up your routine, change your way of seeing, or result in new work that feels fresh. 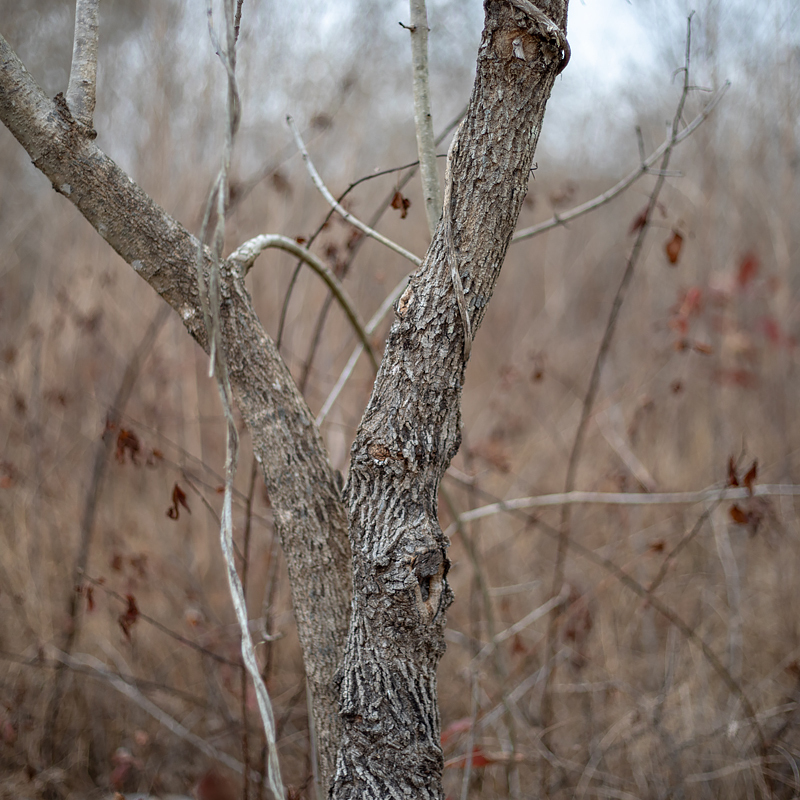 One of the ways I’m addressing that urge right now is by playing around with paired images: diptychs, triptychs and short, visual stories of five to eight images. It’s sort of like writing haiku when you’re used to writing novels, so it requires a different way of thinking. It's fun looking for relationships between images that not only hold them together, but also result in a sum that is greater than its parts—images that tell not only their own stories, but also help shed light on each other; images that, perhaps, feel more poetic when paired. Here is a diptych from Great Cranberry Island. The boulder was shaped by the ocean's waves and, in addition to their physical relationship, I loved the waves of blue in the rock. What about you? Do you ever pair images to create a diptych or triptych? Printing a number of individual images first is a great way to play with pairings, as it allows you to shuffle them around on a table. It can be done on the computer screen, too, but for some reason, it’s just not the same. Why not give it a try and see what happens? Sometimes the hardest part of working on a new project or in a new space is just getting started. Knowing this, I assigned myself a warm-up exercise for my first day in the studio during my artist residency at the Heliker-LaHotan Foundation: Find multiples of some natural object and arrange it different ways. Rocks made an easy choice; they were everywhere (including the windowsills in the studio and dresser in my bedroom). The rocks I loved most were found on a special beach on the backshore, which was covered in granite cobbles worn smooth by the ocean waves. Most were pink granite, but there were also all shades of gray, black and brown. I photographed arranged rocks against black, then also photographed them against other backgrounds and in boxes, crates and tins of all sizes. Although I brought a very small bag of very small rocks home with me, I returned the remaining rocks and cobbles to the sea and windowsills. Perhaps they will inspire the next visiting artist, as well. This simple exercise can be done anytime to kick start your creative juices. Just grab a handful of coins, a box of match sticks or a bag of marbles and spend 10 minutes arranging them in different ways. You could also work with random items on your desk, dresser or kitchen counter. Just move them around until the arrangement is pleasing, then do it again. Green Urchin Shell. ©2018 Lee Anne White. This summer, I unplugged for two months while I traveled, taught and attended an artist residency. I have not looked at facebook since mid-June, and haven’t missed it. I posted to instagram only sporadically until I headed home and even took a hiatus from writing this newsletter. For the most part, my access to both cell service and the internet was extremely limited and wasn’t available at all in my studio. Without the ability to check email or make a post, I simply worked. Without the constant interruption, I could think more deeply about my work and push through barriers when I might normally be tempted to take a break and check email. When I did take a break, it was to take a nap (there was a bed in each studio) or wander along the shore to see what the retreating tide left behind—perhaps an urchin or waved whelk, almost always a bit of sea glass. These were much more productive breaks that allowed for creative incubation and left me feeling refreshed, and it made me realize how much I miss that in my daily life. I’m back home and reconnected again, but trying to find ways to break this habit of always checking my phone. I’ve left it in the car when I might normally take it with me. I’m turning off alerts. And I’m seeking ways to put my creative work first when I get to the studio—waiting until late in the day to tend to business, correspondence and social media. I’d love to hear about ways you unplug or manage distractions like social media, emails and calls, and how it has made you more creative, productive or attentive. Although artists and writers need connections and benefit from collaboration in many ways, creating the work itself is generally a solitary act. And it requires shifting into a creative “zone” in which we are totally focused on our work, oblivious to our surroundings, schedules and other obligations. Sometimes, that’s easier said than done. Cell phones, the internet, appointments—they all get in the way. Sometimes it is helpful to just get away from it all. To eliminate the distractions, reset, reflect and focus on the work. Artist residencies offer a way to do that, and it is one of the reasons they are so coveted. They offer a change of environment, a quiet place to work for an extended period, and various forms of support—usually housing and studio space, and occasionally other amenities such as meals, transportation or access to specialized equipment. Some offer a community of other artists with whom you can build relationships and share experiences with over meals; others are solo retreats. Most provide an opportunity at some point to share your work with their local community or offer greater visibility for your work in some way. But mostly, they offer a quiet place to work without interruptions. I am doing my first artist residency this summer through the Heliker-LaHotan Foundationon Great Cranberry Island, Maine. Located just off the coast of Mount Desert Island and Acadia National Park, it is the largest of five islands in the Cranberry Isles, measuring roughly two miles long by one mile wide. It is accessible only by boat, and beyond a general store, café, library and local history museum, there are few amenities on the island. I do not expect to have cell phone service. Internet is likely only available at the library (though the island is in the process of adding a broadband system). But that's okay. There are rocky shorelines; a large, protected tidal pond; a log boardwalk through a bog; trails through a spruce-fir, birch and red maple forest; and excellent views of the sunset over the mountains of Acadia National Park. Preparing for a residency is an interesting process: How much to plan versus how much to leave open to the experience? Will I work on a current project that needs some deep attention, focus on a new project based on the island, or some combination of the two? What equipment and materials should I pack, knowing I have to get everything there by boat and will not have local access to additional supplies? Should I take my own backdrops or make do with what I can adapt? Take a small lighting kit for studio shots or rely on natural light? Should I post as I can about the experience while I'm there or totally disconnect? What needs to be taken care of at home before leaving on a seven-week journey (as I am also driving to Maine and back)? If I’ve learned anything about travel over the years, it is to prepare, but to be open to the unexpected and change of plans, so that is how I am approaching this adventure. I will likely take a break from posting my newsletter and on social media while away, but I will keep you posted on preparations over the next few weeks and share my challenges, discoveries and experiences in some way when I return. I am extremely grateful to the Heliker-LaHotan Foundation for this opportunity to take a deep dive into my creative work and look forward to the journey. Penitente Morada. Abiquiu, New Mexico. Photo ©2018 Lee Anne White. There is a difference between taking pictures and making photographs. The first is a casual act; the latter is a contemplative one. It is possible to produce interesting images either way, but making photographs is done with much greater attention and intention. Last week, I asked about some of the ways you go about slowing down and making photography a more contemplative, creative act. Today, I’d like to share a few of my own approaches. Set the camera aside. Just sit for a while or take a walk and become more aware of your surroundings. I believe this is especially important in nature, but may be equally important and insightful in other surroundings, as well. This can help you slow down and become more in tune with a place. It can also allow you to see things you might otherwise miss. Notice your first impressions. Sometimes they are the most important impressions; other times they are misleading. It is your job to discern the difference. When something attracts your attention, think about why it does that. What compels you and how might you best emphasize or translate than photographically? If possible, move around your subject and look at it from all angles. Notice not only the subject, but how the light falls on it, what is behind it, and what is beside it that might be encroaching on your image. This can apply whether you are photographing a flower or garden, a stone or a mountain, a doorway or a building. Focus more on making one great photograph than taking lots of shots. Stop often to look up from what you are photographing. Notice how the light is shifting, what may be falling in or out of shadow, and what is taking place around you. If you are shooting close-up, observe the overall scene. If you are photographing a broad scene, take a look at the details around you. Eliminate distractions. Might you need to turn off your phone? Get away on your own for a bit when traveling with others? Go to a quieter location? Pay attention not only to the subject, but how it makes you feel. Can you bring some of that emotion into your photograph? Let go of expectations (both your own and those of others). Instead of worrying about how to get a great shot, allow the scene to speak to you. Do any of these resonate with you? What would you add to the list? 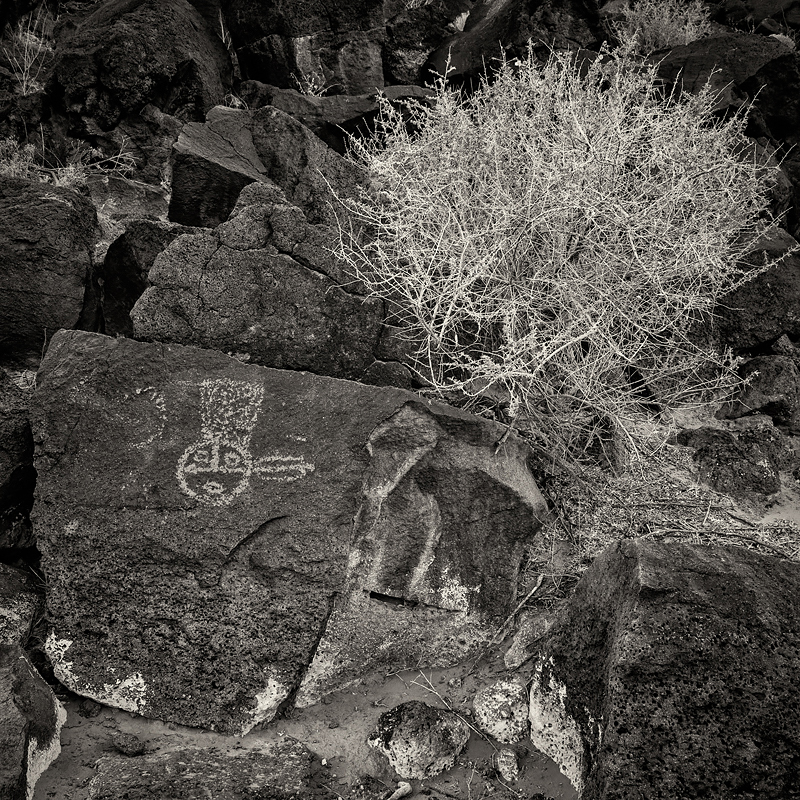 Petroglyph National Monument. Albuquerque, New Mexico. Photo ©2018 Lee Anne White. Artist statements get a bad rap. And if you've read many of them, you know why. Too many are written with the intent of sounding impressive, when their purpose is to simply and clearly communicate the what, why and how of our work. An artist statement should clarify, not mystify. Even though we usually write artist statements for others to learn about our work, they can be equally beneficial to those of us writing them. Sometimes, their real value is not so much in the finished product as it is the process of articulating what our work is about. It helps us clarify what we do and why. It brings our intentions into greater focus and forces us to think deeply about what matters, what we hope to accomplish or communicate with our work, what processes are important to us, and what sets our work apart from the work of other artists. Pausing from time to time, maybe every year or so, to revise or rewrite our basic artist statement helps us think about where we are, how we have grown, and where we are going. Hopefully, we’ve gained some clarity in our work since the last version was written. Writing artist statements for each new project, series, or body of work helps us clarify what that work is really about. Doing this early in the development of that work can give us direction, keep a project focused, and help us communicate with others what we are doing. Of course, sometimes we need to spend time with a project before we know that. In such cases, writing an artist statement later helps us to reflect on the work and perhaps see things we were not aware of when we launched the project. When was the last time you wrote an artist statement—either a general one or a project-specific one? Is it time for an update? Are you delving into a new body of work that would benefit from greater clarity? If you are cringing at the thought, remember that it’s only one paragraph—just a few sentences. Try answering the following questions in one sentence each, in your own conversational voice: What do you do? Why? And how? If necessary, add another sentence or two to fill in any important gaps. Sleep on it, and then polish it the next day. Let me know how it goes. An otherworldly view from Plaza Blanca, aka The White Place, near Abiquiu, New Mexico. Photo 2018 Lee Anne White. This has been a week filled with reminders about the importance of pursuing one’s own vision, of being a contrarian. Last weekend, I had an O’Keeffe immersion day. After visiting the Georgia O’Keeffe Museumin Santa Fe, I toured O’Keeffe’s home in Abiquiu, photographed Plaza Blanca (which she frequently painted) for the third time in a week, stopped at the Chama Riveroverlook she made famous, and made my way on to Ghost Ranch. I had done all of these except for the house tour before, but never in the same day. It offered a unique insight into her work, and standing in her studio, looking out over the Chama River Valley, was an experience I will never forget. When I returned home Tuesday evening after 12 days on the road, the most I could do was curl up on the sofa and watch a movie. Before I landed on Amelie(a delightfully charming example of different, if ever there was one), I tuned in to part of the Picasso series on the National Geographic Channel. There was a scene in which Pablo was studying at the Academy of Arts and his professor chastised him for not following the classic rules of painting and for wasting his talent. Picasso responded that he did not see the subject that way and, in great frustration, left (or was asked to leave) the Academy. On a more personal note, one of my uncles died at the age of 89 this week. He had a good, full life and pursued many passions. An astute businessman, he was known as a contrarian. He did things differently, often under the critical eye of others in his industry. But he, along with his business partners, had a vision that was not only successful but a game-changer for that industry. Creativity is about coming up with something new and unique, about doing things differently, sometimes being contrarian. But being different just for the sake of being different isn’t enough. There must also be a vision or purpose—to create something useful, valuable, meaningful, beautiful or otherwise significant in some way. The challenge, of course, is that we can’t always envision the outcome of others’ creative ways. And that's where doubt and criticism often come into play. What have you done differently in your life? How did others respond or react to your actions and ideas? If less than supportive, were you able to move forward with those ideas anyway? 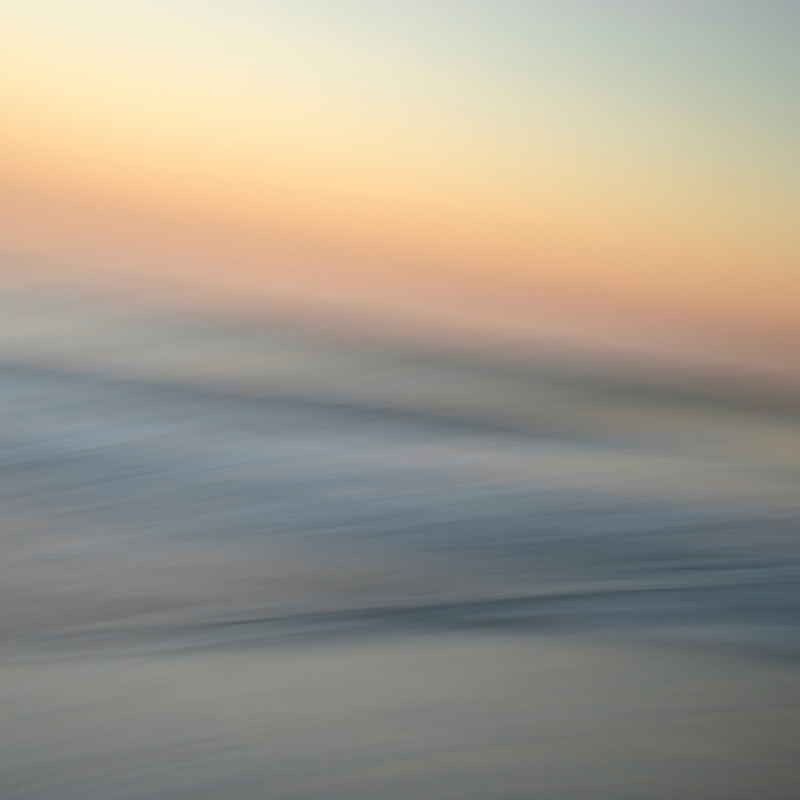 A yet-to-be-titled seascape photograph from my recent trip to Amelia Island. ©2018 Lee Anne White. Earlier this week, I read an article that said it is good to have lots of books on your shelves that you haven’t read yet. I laughed, and thought surely this must be fake news. But the source (Inc. magazine) was legitimate and the story was based on research by bestselling author Nassim Nicholas Taleb. The thinking is that having many unread books (assuming that you do read some of them, of course) both fosters a sense of curiosity and reminds you of your ignorance. I guess this way of thinking falls into the same category as the more you learn, the more you realize how much you’ll ever know. Whenever I take a deep dive into a subject, I find this to be true. It was certainly the case with gardening. Just when I learned how to prune a hydrangea, I discovered there were other types of hydrangeas that had different pruning requirements. As I quizzed myself relentlessly to learn the names of plants in nurseries and botanical gardens, I discovered that there are more than 350,000 known plant species, not to mention cultivars and hybrids. I even discovered that gardening wasn’t just about growing plants; it was also about garden design, landscape architecture, horticulture, botany, arboriculture, environmental sustainability and even meteorology. Photography is that way for me, too. I’ve been taking photographs and learning about photography since I was a kid. And yet, no matter how much I read, shoot, and take or teach workshops, I can never begin to grasp even a significant portion of it all. I discover that it's not just about taking pictures; it's also about art, storytelling, lighting, science, computer technology and so much more...yes, even meteorology. (Landscape photographers obsess over the weather just as much as gardeners.) There are so many photographic processes, both new and historic, I’d love to try. So many photographers I’d love to read about. So many exhibits and photo books I’d like to spend time with. And then I realize, there will never be enough time to take it all in. The field of photography, like nearly everything else, is changing rapidly and growing exponentially. So I’m glad to know that it’s okay if I haven’t read all of the books on these shelves and that it’s natural to discover how much I’ll never know about the subjects I’m most passionate about. It helps to both tap and satisfy my sense of curiosity and gives me something new to look forward to each day, even if it does remind me of my ignorance. Reins of Sabal palmetto, or cabbage palm. Photo ©2018 Lee Anne White. Although I have often asked others what inspires them creatively, I'm often left confused by the answers and have even struggled with my own response to the question. Some are inspired by other people. Others are inspired nature. Many claim that everything has the potential to inspire them. And then there are those inspired by a specific incident—be it good or bad. This is all well and good, but has never struck me as very specific or helpful in determining where ideas come from or how to boost creative thinking. Too often, I believe we think of inspiration as a form of divine guidance or something that comes to us from another source, such as people or nature. While this is one of the definitions of inspiration and can inspire us, it is one beyond our control and comes from outside us. Similarly, inquiring about where ideas come from also implies that they come from outside us, as if it involves waiting for the muse to appear. I suspect we could better identify what inspires us, seek it out more often, and take greater responsibility for our own creative acts if we thought of it by another definition: the process of being mentally stimulated. After all, creativity is an activity that takes place in the brain. Do you feel most mentally stimulated when you wake up in the morning, after exercising or late at night when unwinding and reflecting on your day? Are you more likely to solve problems and generate ideas when you allow yourself to daydream, when you talk with other creative individuals or when you go for that walk in the woods? What happens when you read a book, visit a museum or stop by the art supply store? Do you feel more stimulated when you work alone, collaborate with another or work with a team? Does seeking out the work of other artists, designers, writers or performers stimulate your thinking, or does it, instead, distract you? What kind of physical environment best stimulates your ability to think and work without distraction? Is it a busy, colorful space or a quiet, minimalist space? Does it have lots of bright light or low, soft light? Lively music, soft music or no music? Do you prefer being surrounded by nature, white walls or collections of things you love and materials you work with? Are you more likely to paint or create photographs in broad, open landscapes or spaces that are more enclosed with dense tree canopies? On sunny, lightly overcast or foggy days? Creativity occurs when your brain makes new connections between thoughts and information. If you can think of inspiration in terms of what environment and activities stimulate your thinking and actions rather than where ideas come from, you can proactively create or seek out environments and situations in which you are more creatively engaged and productive. What works for you? How can you increase this kind of creative stimulation in your life? Over the past couple of weeks, I’ve had several conversations with visual artists about creative block—the challenge of just getting started or not knowing what to do, whether it is your first project or your fiftieth. Interestingly, it is often not a lack of ideas but an overload of ideas that is the challenge, and that's what I'd like to explore today. Not all creative people are idea people. Some, for instance, are better at identifying problems or fine-tuning solutions than they are at generating ideas. But for those who especially love exploring possibilities and coming up with potential solutions, creative block is rarely a lack of ideas. More likely, it is a case of feeling overwhelmed by too many ideas and an inability to choose between them. And sometimes it is that we love the idea-generation part of the creative process so much that we don’t want to move on or haven’t reserved enough energy for the next phases of the process. Or just as we think we’ve made a decision, another idea comes to us and we are off on another tangent. Other times we tend to be perfectionists. We want to know which idea is the best, most perfect choice? Which will yield the greatest benefit? Be the most fun or the most unique? Or sustain us the longest? Such questions can be a challenge for those with a few good ideas. Imagine someone who has dozens of ideas to which they’ve become attached. If any of this sounds familiar, stay with me. One of the first keys to moving forward is acknowledging that you are an idea person—that coming up with ideas is the part of the creative process you like best. And yet, it is just one step in the creative process, and you must move through them all to complete any project. Set some deadlines or find someone to hold you accountable so that you continue to move through the entire process. Find a box. I know, everyone is always talking about thinking outside of the box. But you really benefit from having a box to begin with. Having a specific challenge or defined set of parameters helps you to focus, to make your ideas more relevant, to know when you have a working solution, and to move forward with confidence. Without guidelines, you could continue coming up with ideas forever. What potential does it have? How might you overcome those concerns? Or establish some criteria—maybe four or five requirements you want the idea to meet. And them rate them based on those criteria before making a final pick. Having different ways to think about and evaluate your ideas helps you move beyond your emotional connection to a more logical decision-making process. Also, know that you don’t have to throw those other ideas away. You’re just choosing one idea to move forward with right now. Hang on to your cards and notes. Keep an idea file or journal. You can always come back to other compelling ideas later. If all else fails, just throw your best ideas into a hat, draw one out and get to work! Yes, just doing something is often all you need to get the ball rolling. Bambusa oldhamii. Small branches from a giant timber bamboo. ©2018 Lee Anne White. As a kid, I loved riding my bike. It was my ticket to exploring the town we lived in. Sometimes I had a destination (such as the Green Street pool, Perdue's Newsstand or Dairy Queen) in mind; other times I would just wander. It was fun to bounce along the narrow, rugged path through the woods and over the creek to my best friend's house. And I loved to race—whether it was against a friend or myself. I remember that there would always be one last burst of energy in the final push toward the finish line. For me, the creative process is a bit like that. It’s the ticket to exploring my inner thoughts and feelings, as well as the world around me. Sometimes the path feels wide open; other times it is narrow, rugged and more challenging. Frequently I know where I'm going; more often I just have to see where the process leads. And, yes, there are moments when working on a creative project even feels like a race—with lots of excitement at the beginning and a burst of energy when the finish line is in sight. I have shown some of my black-and-white botanicals in several galleries this past year, images have been published in several online photography magazines, and I am currently putting the finishing touches on a solo show that will be on display at the Quinlan Visual Arts Center throughout April and May. At some point along the way and in a rather arbitrary manner, I decided this show would mark the finish line for this project. Not that I will stop showing, sharing or even shooting this work, but simply that it will mark the official completion of this work as a project. Doing so allows me to celebrate what I learned along the way and shift gears to my next creative endeavor. I feel the excitement building and have had a burst of energy as I work to pull it all together. The studio is a busy place. I’ve been touching up and buffing encaustic pieces as needed, adding an extra coat of finish to frames, printing new images, preparing labels, putting together promotional materials and more. It feels great to check things off of my to-do list. While generating ideas may be my favorite part of the creative process, I do find bringing a project to completion very satisfying, as well. What are you currently working on? Have you established or visualized a finish line? How will you know when a project is complete and that it is time to move on?